I started off with the old favorite Devan Mud and the upstart Strong Tone. I painted one right after the other with as close to the same application as I could. Just a single pass and a light sweep. Have to say, they're pretty darn close! What is less close is the amount you get in the bottle. $3.70 gets you 12ml of the GW wash, where you get 18ml for $3.25 (or cheaper, depending on where you order from). 50% more ink for 10% less money sounds like a deal to me! Eagerly, I grabbed the other bottle of Dark Tone and gave it a run up against the Badab Black. Again, darn near a photo finish. If I hadn't labeled them, I probably wouldn't be able to tell you which was which. In any case, I'm sold on these two inks and I honestly wish I'd found out about them sooner! Great tip. I had never heard of them either, but intend to score some immediately. My suggestion toyou would be to check out Secret Weapon's line of washes. They have something like 30 different washes, and I love them! I was a big fan of Badab Black and Gryphonne Sepia, but once I run out of those I'm gonna end up using only SW's stuff. Good to know. Have you tested the water fastness of the inks? The old Citadel inks were pretty good, but I have some artist's inks that you have to be careful of if you paint over them. @Brian - I'm well pleased with 'em, and would recommend them in a heartbeat! @Gorman - It seems like they dry a little quicker than the old GW washes, but it's still worthwhile to let them sit for a while. I've done some painting over the inks and it seems like provided you're painting over once the ink has dried they don't run or smear at all. I'm definitely going to have to try these out! 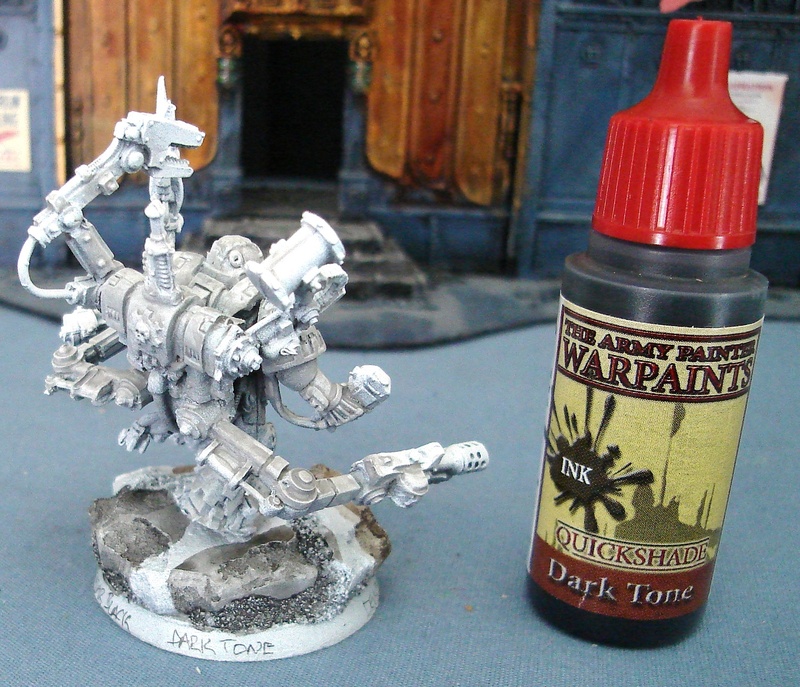 If you're no fan of the dropper bottles then you can always fill up the old Badab Black and Devlan Mud with their Army Painter equivalents. The more I use them, the more I like them - I'll be ordering more soon, no doubt! @dwez - Indeed, that is what I ended up doing. I've gone the other way (GW paints into dropper-style bottles), but for the inks I've found I prefer the ability to dip from the jar. A slight deviation - Last day for OGRE!